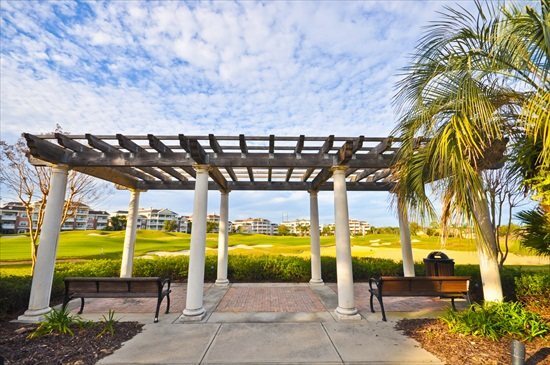 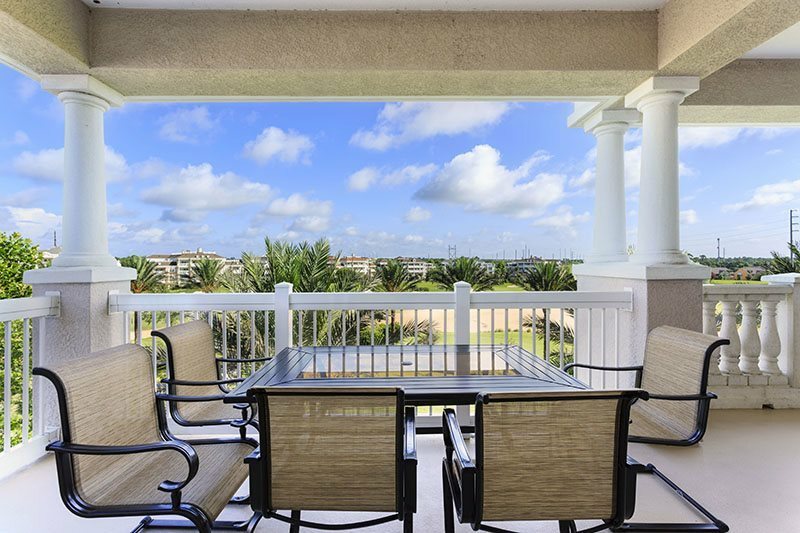 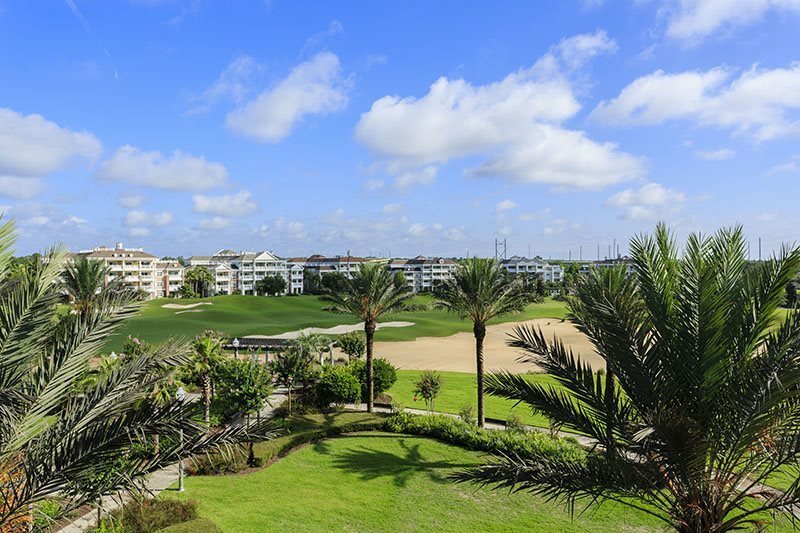 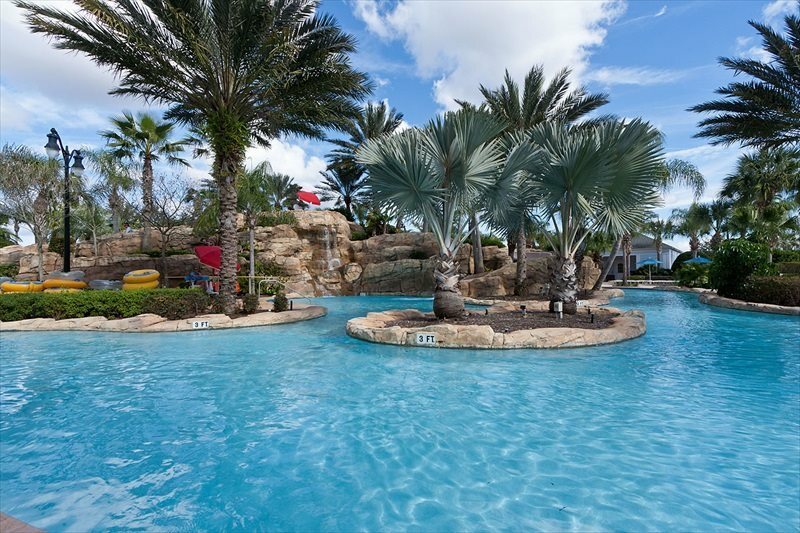 Located in the upscale Reunion Resort community of The Villas North and overlooking the fairway and green of hole 16 of the Independence golf course designed by Tom Watson, this wonderful top floor corner unit 3 bedroom vacation condo is close to Reunion`s water park. 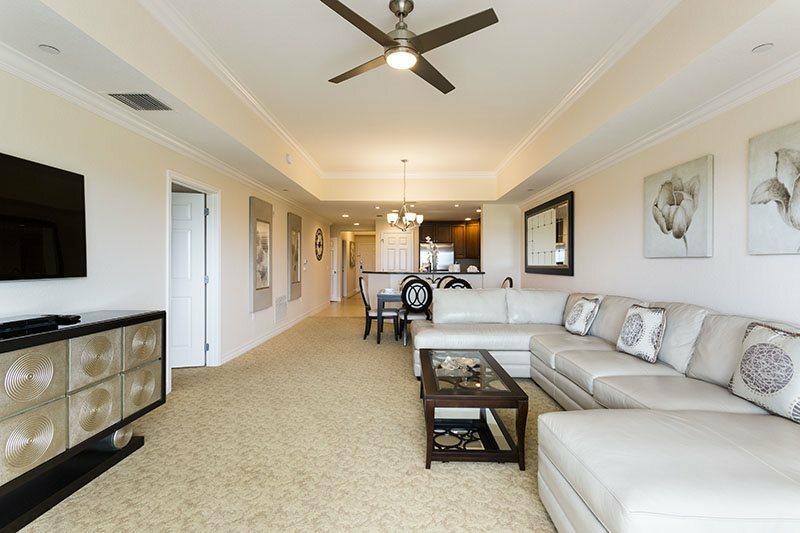 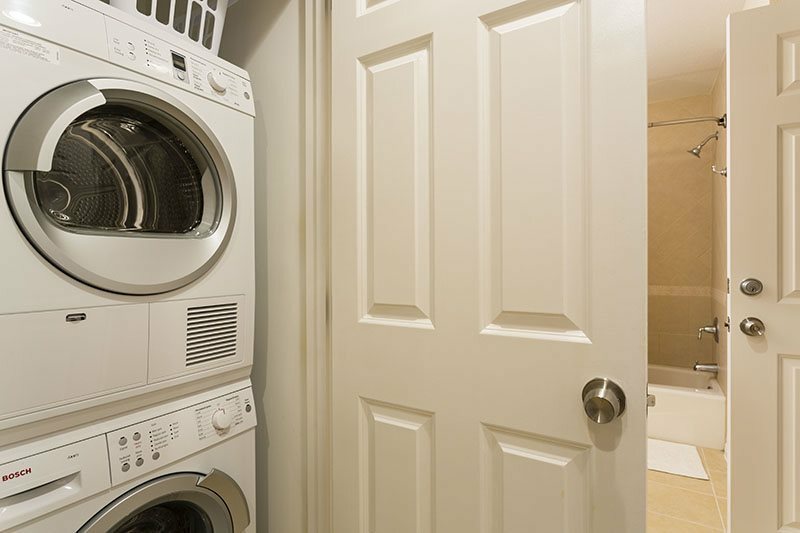 This truly is a luxurious three-bedroom condominium. 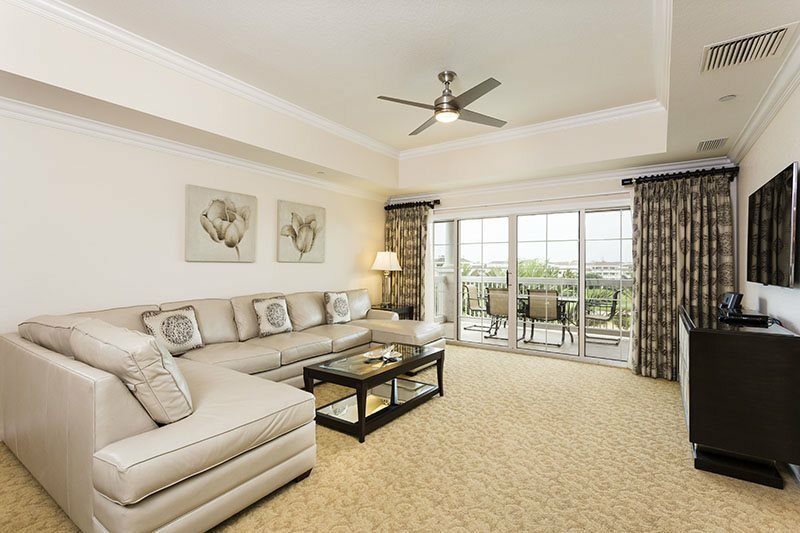 The spacious living room and dining area has been furnished to an extremely high standard. 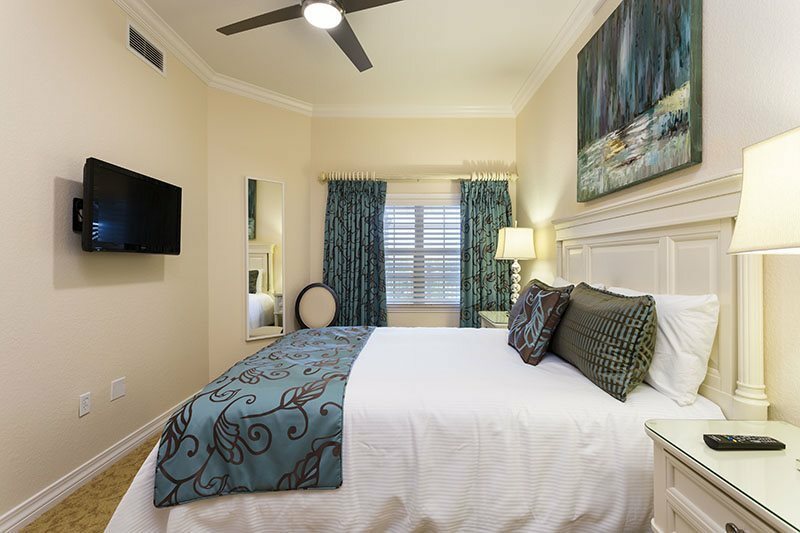 There is a leather sectional sofa with pull out Queen size bed, 55" LED Smart 3D TV complete with two pairs of 3D glasses and a Blu-Ray player. 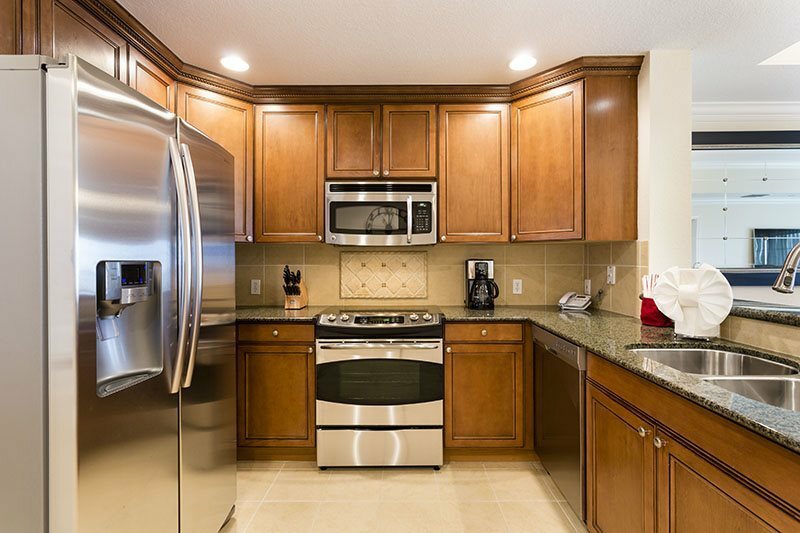 There is also a fully functional kitchen which is very well equipped with the latest stainless steel appliances and granite counter tops. 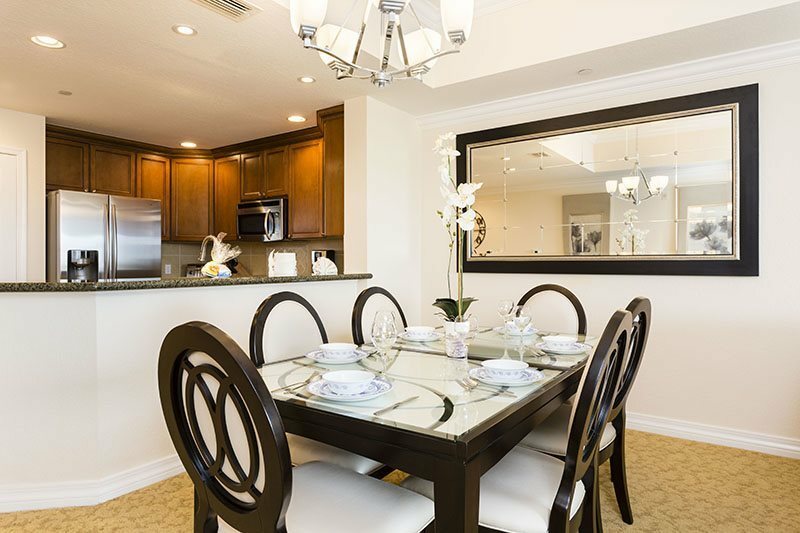 The separate dining area has a beautiful dining table with seating for 8 (two chairs are stored in one of the bedrooms). 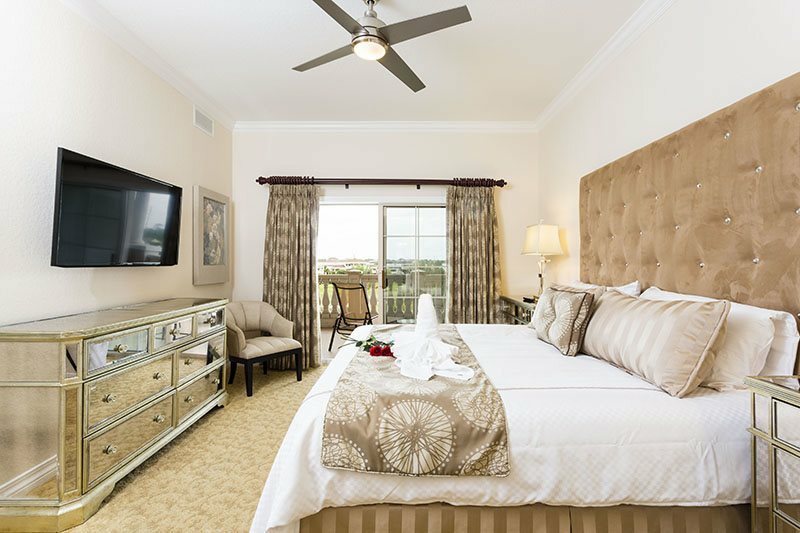 Guests staying in this condo will enjoy luxury and comfort as no expense has been spared. 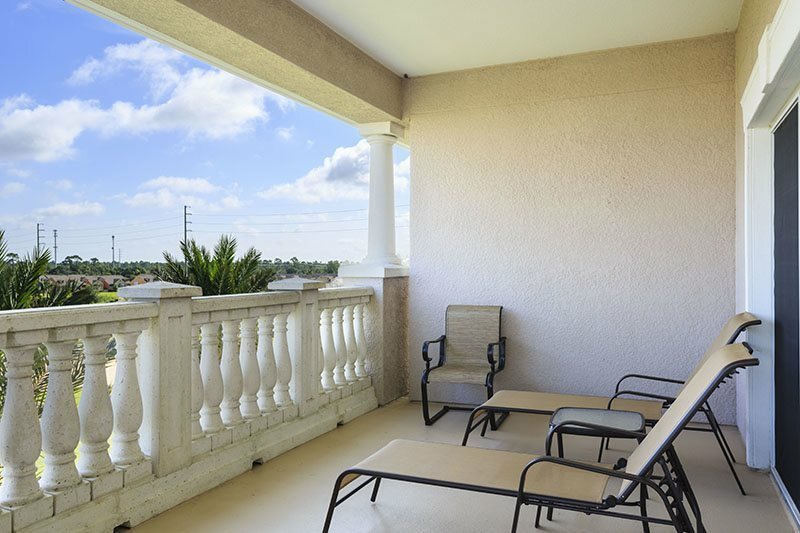 Large sliding patio doors lead out to your own over-sized terrace balcony with a table and seating for 6 along with two sun loungers where you can enjoy breakfast and evening drinks. 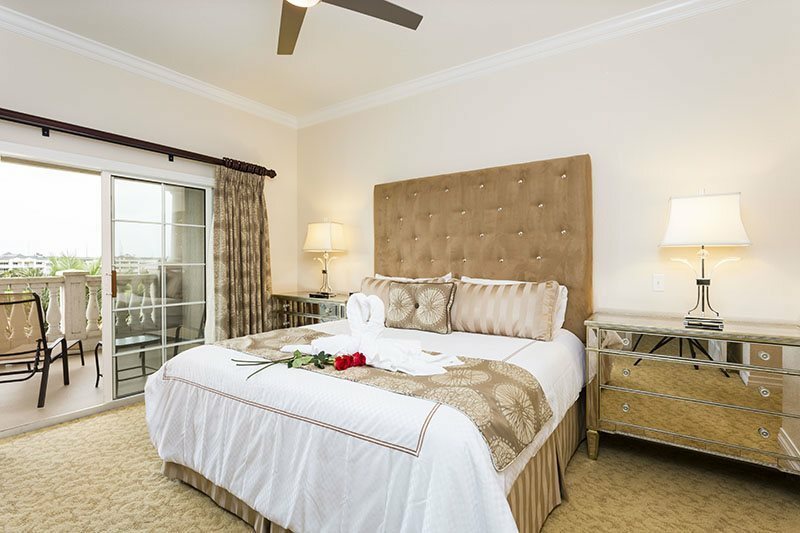 The master en-suite bedroom has a luxury King bed, a LED HD TV and cable. 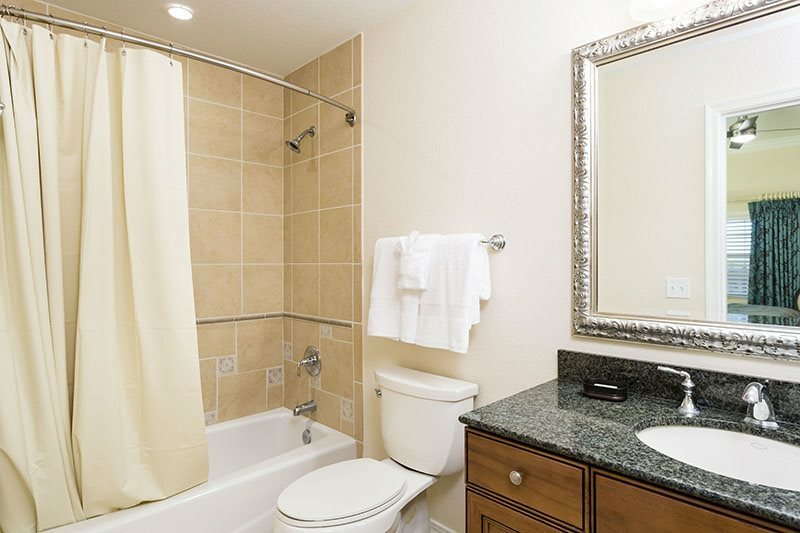 There is a large walk in closet with an electronic safe, and a large en-suite bathroom with dual sinks, bath tub and a large walk in separate shower. 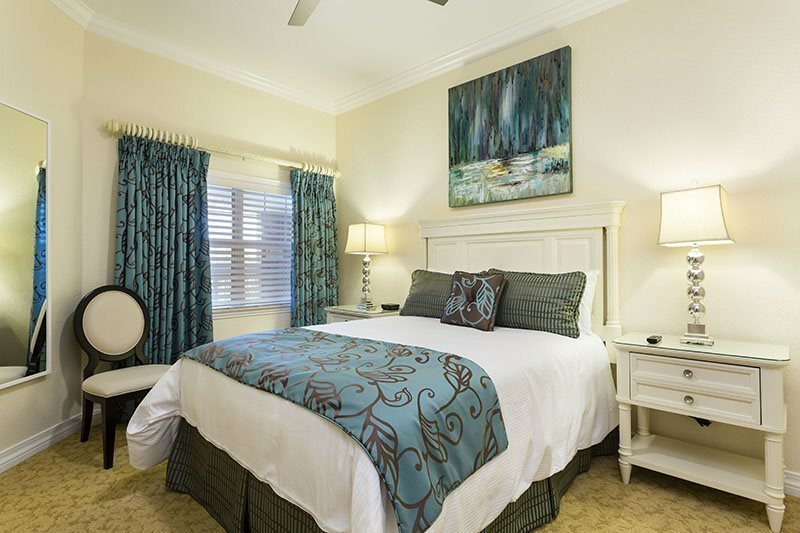 The second bedroom has a Queen bed, a wall mounted 32" flat-screen TV with cable. 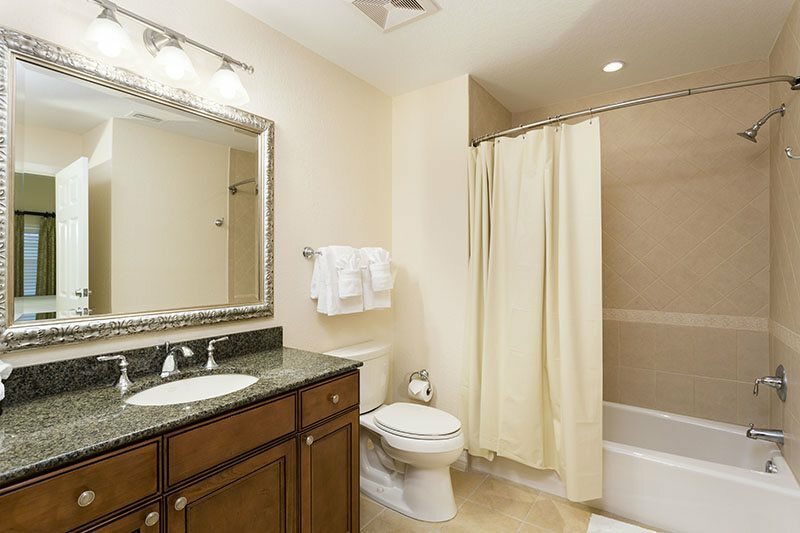 There is a large closet and an en-suite bathroom. 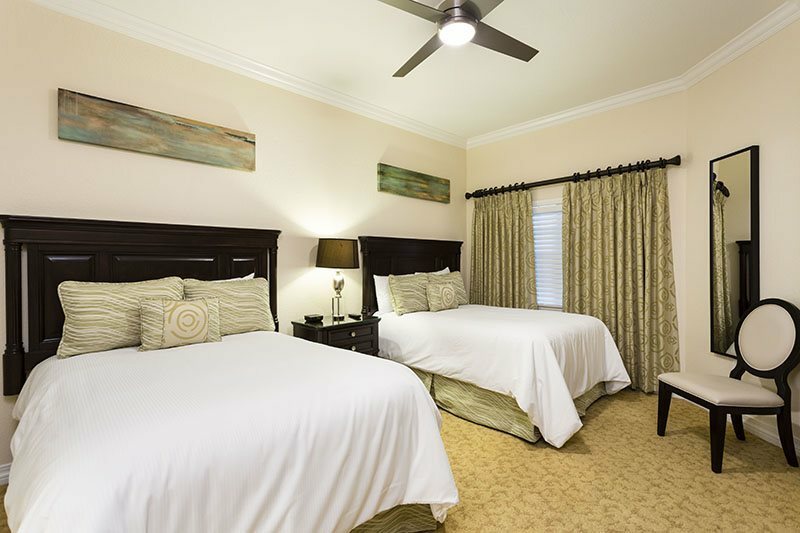 The third bedroom has 2 luxury Full beds and a flat-screen TV. 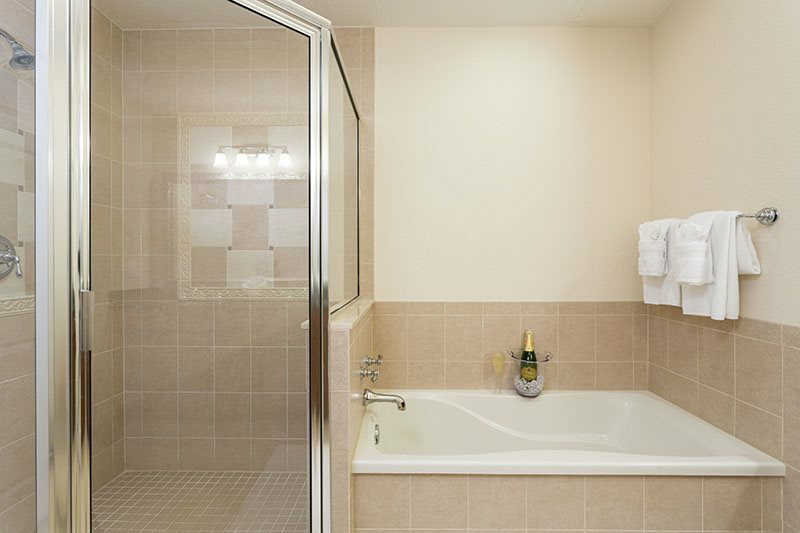 There is a large closet and an en-suite bathroom.